Well Ultimate fans, it’s another weekend, which means it’s time for another installment of Smashing Saturdays! This week had a bit more variety, with two brawler bios, a brand spanking new stage, a new pokémon and more. While I won’t have a Most Wanted Brawler today, instead we’ll see the return of another segment I previously did during the first run of Smashing Saturdays. So let’s get Smashing! The one downside to bringing back every brawler is that we get the odd ducks like Pichu. Don’t get me wrong, I love how adorable the little pre-evolved pokémon is, but god was he difficult to play as. What with his own attacks damaging him and all. But it’s still kind of nice to have the little weirdo back after 17 years. Here’s hoping they’ve buffed him a little as well as giving him a snazzy Final Smash. While the next stage has previously been revealed, it’s still good to cover a level from both Splatoon games. 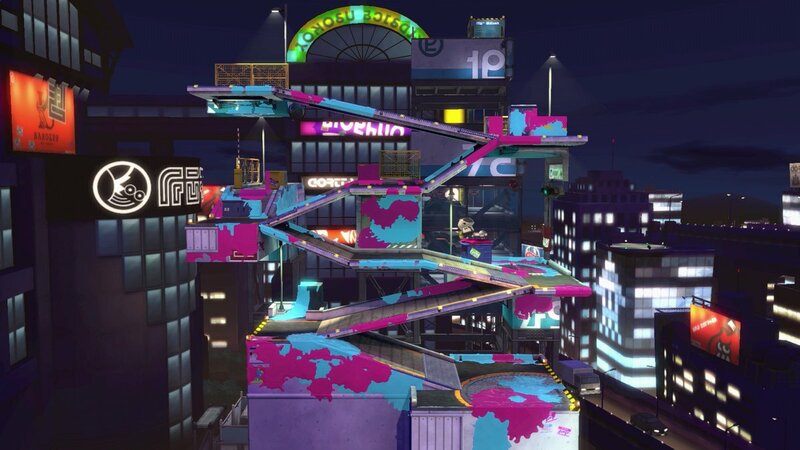 Yes, Moray Towers is finally in Smash Bros. Ultimate. I wasn’t sure how such a huge stage would translate to the game, but they smartly turned it into a vertical slice of an otherwise sprawling stage. Best of all? Judd and Li’l Judd will raise a flag to indicate who is currently dominating the match. Sounds like crazy fun to me! One nice thing about all the returning fighters from past Smash Bros. games is they bring with them their stages and music! There’s not many franchises represented much like Metal Gear Solid, after all. So it’s great that Snake Eater from Metal Gear Solid 3 is making the cut for Ultimate. It’s been arranged by Nobuko Toda, and it’s a good mix of suspense and drama. You can listen to it by clicking here. I’m so glad that Bowser Jr. made it to Smash Bros. Yes, he was in the last one too, but he’s just such a great and unique character. The fact they incorporated the Clown Car into his entire moveset is just icing on a delicious cake. Granted I’m not very adept at playing as him, but I am still glad Bowser’s devious toddler can join the Smash Bros. fun. 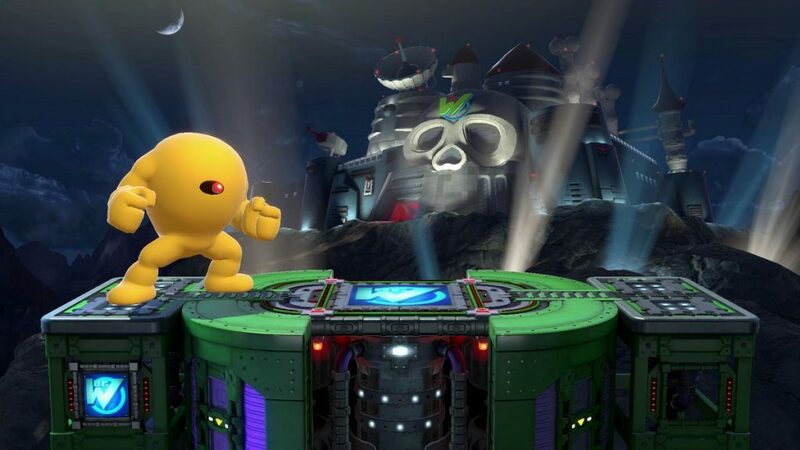 There’s a new pokémon in Smash Bros. Ultimate, and he’s equal parts adorable and terrifying. Yes, none other than the death hug demanding Bewear is here, and this pink and cuddly monster has a mean uppercut for brawlers. I love the huge variety of pokémon available in the game already, and with new additions constantly coming in, Ultimate is gonna be a blast. But that’s not all this week! Join me below with the return of Character of the Week! I loved Fire Emblem Awakening, as did many gamers. Part of that was because of how it breathed new life into the then struggling Fire Emblem series, but I also liked it because of how you got the opportunity to make your own avatar hero. 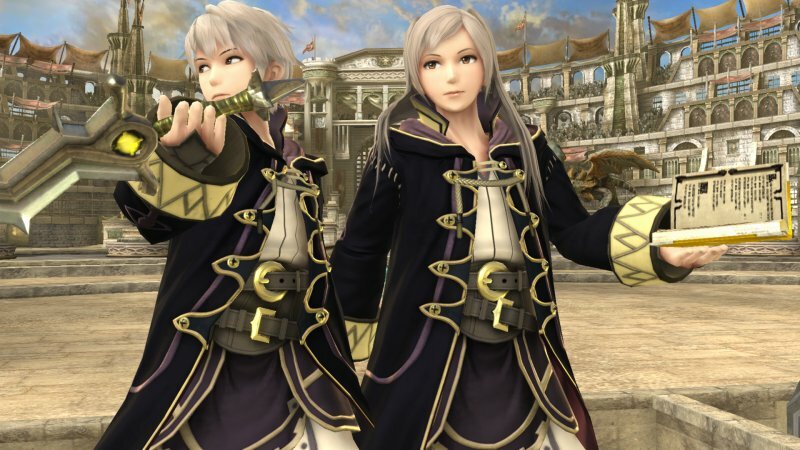 Robin may not have been the most well defined hero in the long running series for obvious reasons, but he / she brought a decidedly unique playstyle to the Smash Bros. series. While most representatives from FE are sword wielding bad asses, Robin relies on magic primarily. Sure, Robin has a sword, but it’s a magical lightning sword. Key difference. Plus, managing all of Robin’s temporary attacks smartly and being able to survive til they recharge is part of the fun. I can easily say Robin is my favorite Fire Emblem character in Smash, even though I do like how strange Corrin is. While I wouldn’t consider Robin one of my 1st tier mains, there is definitely a place for him / her on my 2nd tier main stable (yes, I play way too many characters in Smash). I really hope they’re not the last characters to grace Ultimate from the storied tactical RPG series, though. Given how there is this thing called the Weapon Triangle, it would be lovely to get some axe or spear wielding brawlers into the game, or even something crazy like a Pegasus Knight. But we’ll just have to wait and see if that actually happens. Thanks again for joining us on your Saturday! Be sure to tune in next time for a brand spanking new edition of Smashing Saturdays!